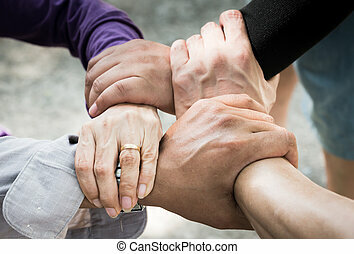 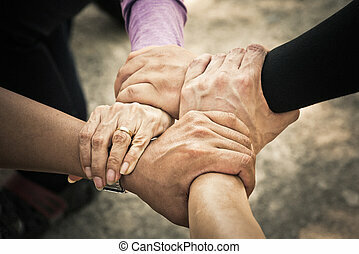 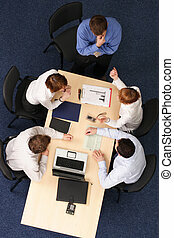 4 people meeting. 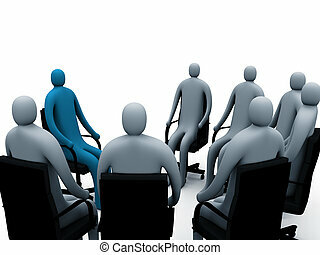 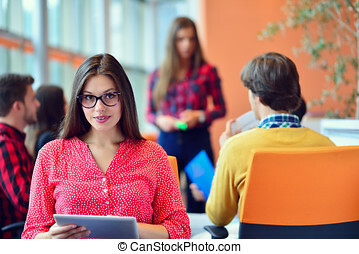 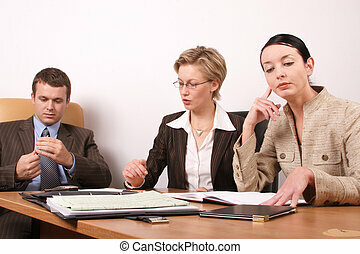 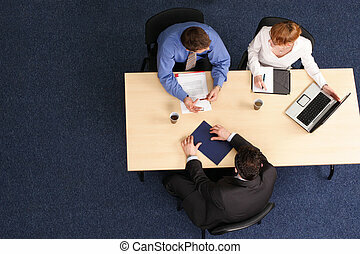 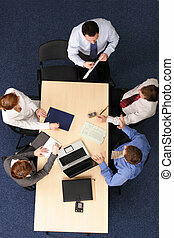 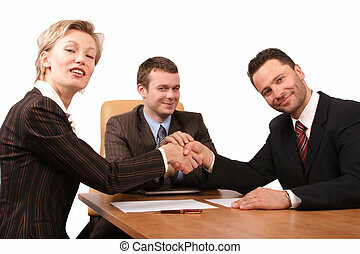 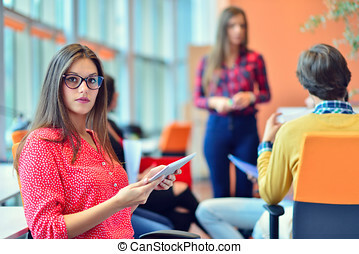 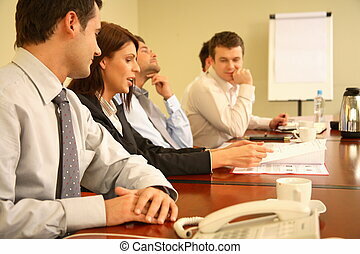 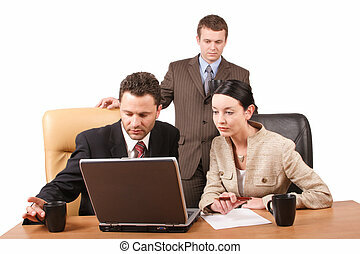 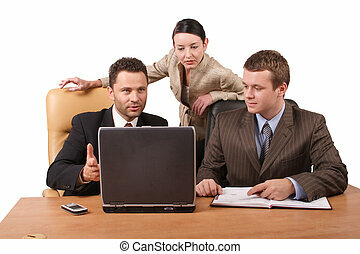 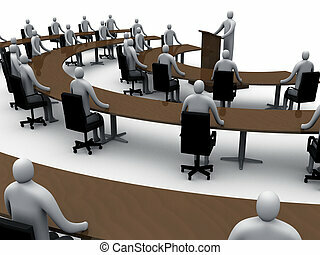 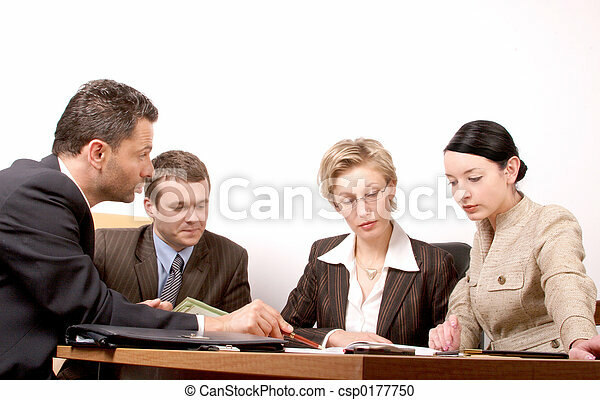 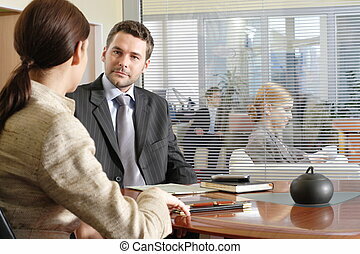 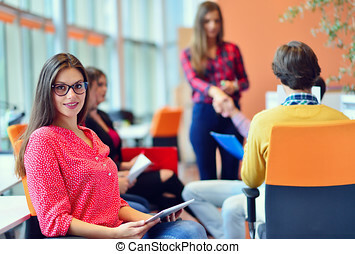 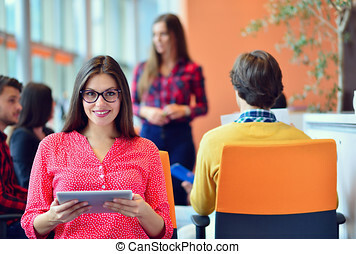 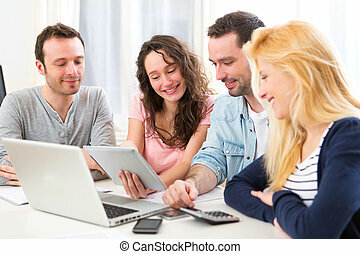 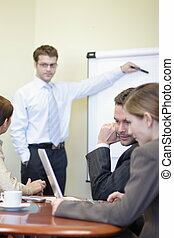 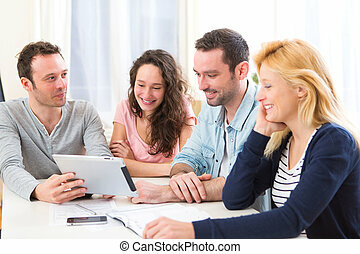 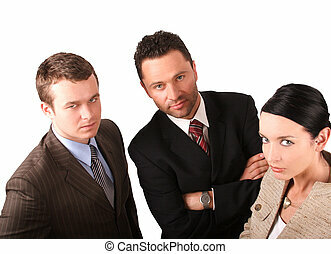 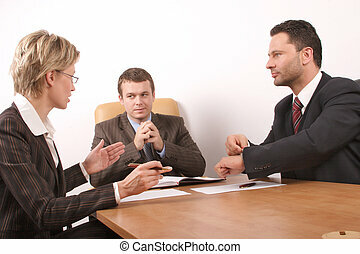 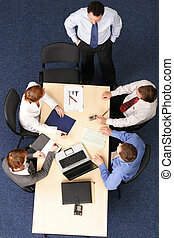 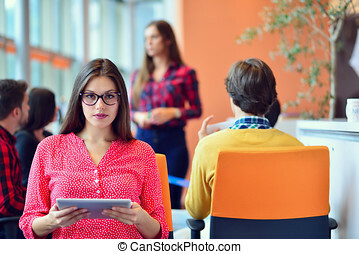 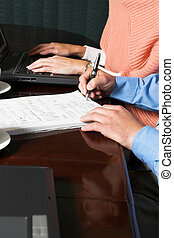 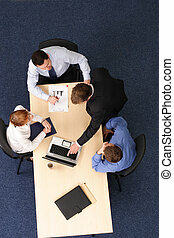 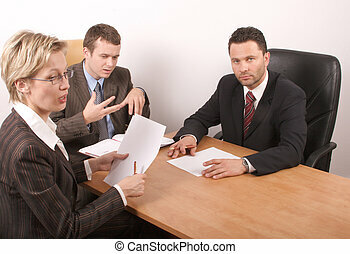 Group of people negotiate at the desk. 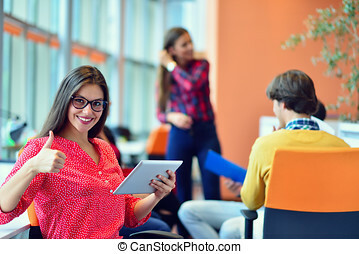 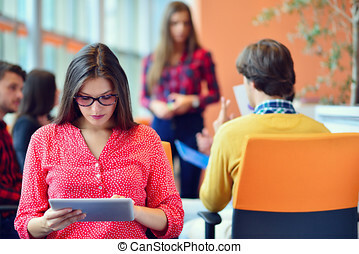 Young people meeting with digital tablet in startup office.